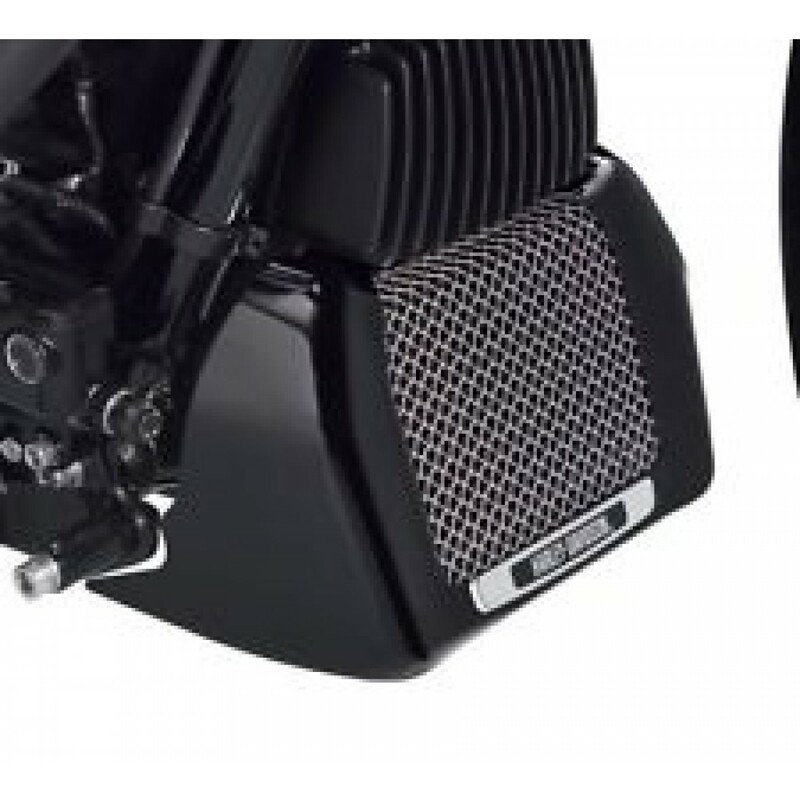 Dress the Touring oil cooler in style. This Oil Cooler Cover is designed to hug the contours of the cooler body and does not interfere with the engine guard or voltage regulator. 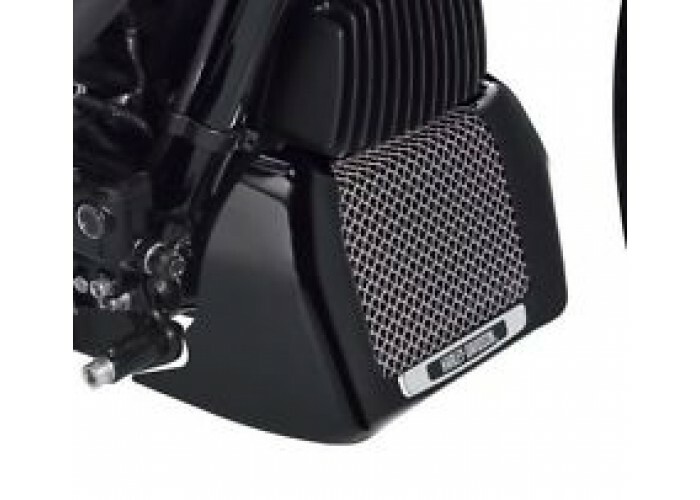 The forward-facing mesh screen adds a custom touch, and protects the oil cooler fins from road debris without disturbing the airflow across the surface.